Creative Home Image, a home decorations supplier in Port Augusta, South Australia (www.creativehomeimage.com.au) has been awarded the title of Australia’s worst website as part of the Rescue My Site campaign, receiving $25,000 worth of digital services from KBB Digital to help boost its online presence. Nachos Cantina, a Mexican restaurant chain in Melbourne, Victoria (www.nachoscantina.com.au) has also received $25,000, taking out the Local Legend award in the national campaign aimed to get more Aussie small businesses online. David Chaffey, CEO of KBB Digital explained that it was not easy selecting just two major prize-winners from 10,532 entries, and guest judges David Koch (Kochie), Jodie Fox, founder of Shoes of Prey, Bradley Smith of braaap Motorcycles and Eddie Machaalani of Bigcommerce helped to make the final decision. “Our digital team carefully reviewed every single entry and website to put together a shortlist of 12 entrants for our panel of judges to review. While we would have liked to help every single entrant, we had to select two final winners and know those who didn’t win have learnt a lot from our campaign,” Mr Chaffey said. “This huge response reflects the increasing need and desire from small businesses to establish a strong digital presence. Through the Rescue My Site campaign, we partnered with some of the most successful online business-people to share our collective knowledge and expertise through insights, tips and advice providing support to people looking to improve their online business,” Mr Chaffey added. Creative Home Image and Nachos Cantina will work with the KBB Digital team to review and revamp their digital presence in 2015, receiving a digital marketing strategy, brand new premium website including 12 months of support and an SEO package to a total value of $25,000. The final People’s Choice award, valued at $10,000, remains open for voting. The winner will be announced on 6 January 2015 and 100 secondary prizes will also be awarded, providing runners up with a $1,000 KBB Digital gift voucher. • KBB Digital is a dynamic digital agency specialising in helping small and medium sized businesses harness the opportunities and power of the internet through creating a strong and effective online presence. • KBB Digital’s team of web gurus are passionate about getting Australian businesses visible online and delivering impressive outcomes that help drive real business results and a significant return on investment. 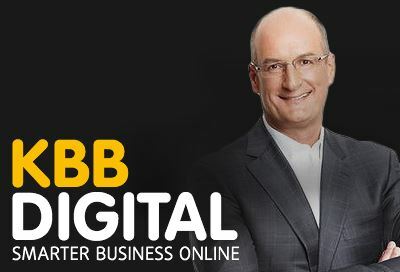 • KBB Digital was acquired and added to the growing portfolio of Kochie’s Business Builders brands, as part of a national strategy to create an information and support network for small and medium sized business owners and operators.